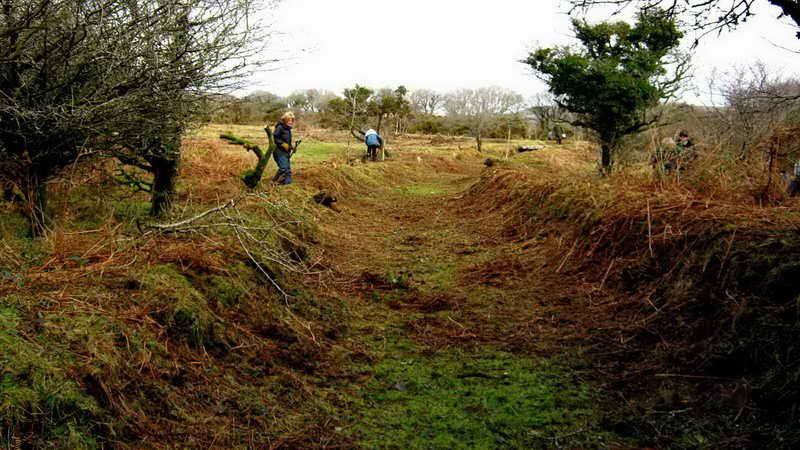 Friday 21st February saw the DPA volunteers start clearing a new section of the Devonport Leat – the man-made water way that brought water into Devonport and that was opened in 1801. The new section starts at the tunnel where the previous project started except that we are working back towards Plymouth (or do I mean Devonport?) whereas previously we worked towards Yelverton. 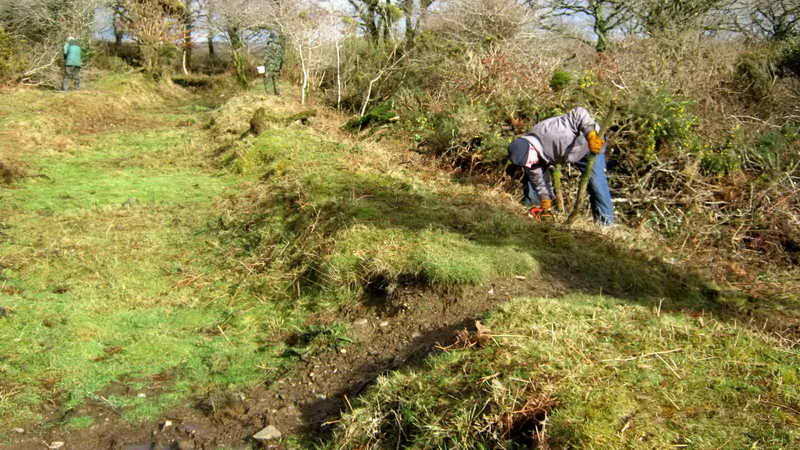 The section was worked on a little while ago by Tavistock Taskforce who cleared the interior of the leat but the new project is clearing the banks. 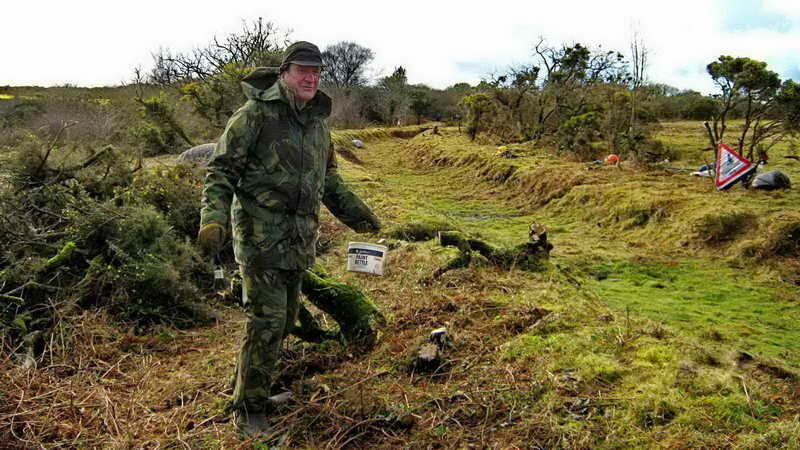 The objective is to prevent damage being done to the archaeological structure by the roots of the gorse and other scrub growth. The roots can penetrate between stonework or permeate the soil and then cause collapse when they later decay. The work party consisted of Bill Radcliffe, Chris Francis, Derek Collins, Helen Wilson, Hilary Luce, John Lucas, John & Elaine Viant, John & Rachel Watson, Mally Stephen, Sylvia Hamilton and Val Barns, 13 in all. Once again – there was cake, fruit cake, brought by Hilary! I remember when I first saw the clapper bridge that it was completely hidden by scrub, namely gorse, hawthorn and bramble, before any clearing at all took place – now it is an attractive feature. One point of interest is that one or two of the granite stones in the side wall (on the left, in this photograph) show pairs of holes. 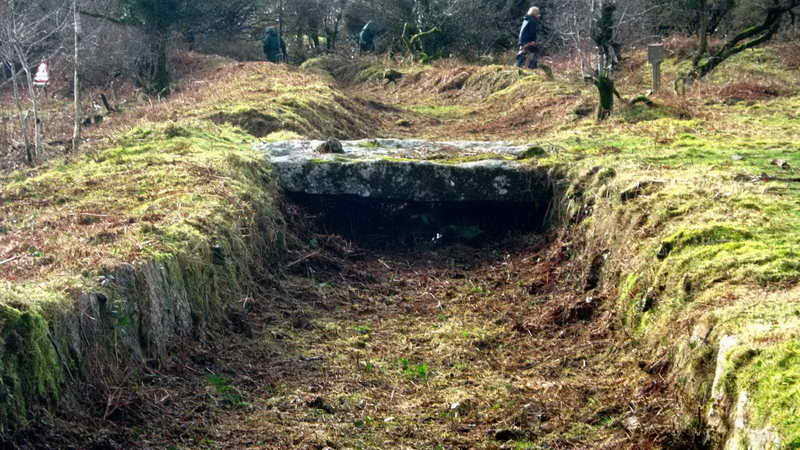 The stones were probably sleepers that were robbed from the nearby Plymouth & Dartmoor Railway of Sir Thomas Tyrwhitt: this was a horse-drawn tramway. This is a little puzzling because the tramway was opened in 1823, after the leat was constructed, which suggests that the clapper, or it’s stonework, were built later, perhaps after the closure of the railway in 1847? The length of leat that was cleared today was about 200 metres, roughly to where the leat bends and where it approaches the tramway.